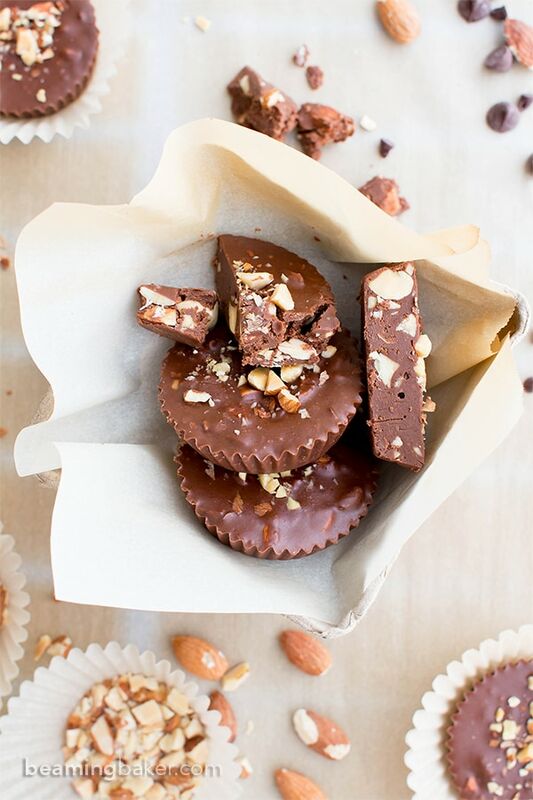 Paleo Chocolate Almond Butter Fudge Cups (V, GF, DF, Paleo): a 3-ingredient recipe for decadently rich almond butter fudge cups packed with almond crunch. 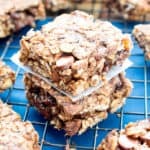 Paleo, Vegan, Gluten Free, Dairy-Free. Come on, admit it. You read the title of this post and just smiled. Right? Aw, come on!! A teeny, tiny smile couldn’t hurt… 😉 Especially when you’re smiling for a good cause: CANDY!!! 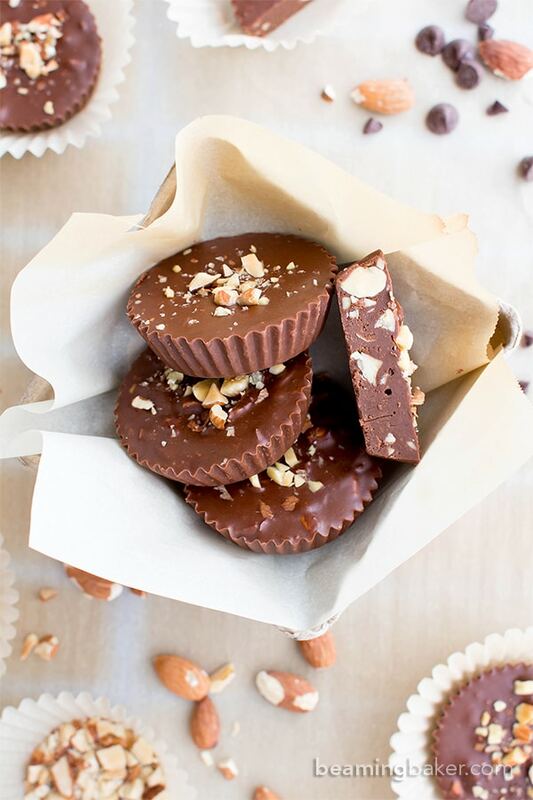 Make that homemade candy! Is it obvious that I’ve been enjoying said candy prior to getting my trusty keyboard to type this sweetness out? 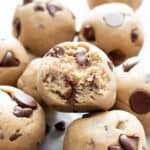 I may have been enjoying these dee-licious fudge cups, plus one or more of the following: my favorite chewy gluten free almond butter chocolate chip cookies ??? ?, easy gluten free dark chocolate muffins, and ultimate fudgy paleo vegan brownies. That’s right, I said, and. It’s Chocolate Central up in here! Side note, it totally annoys me when Erik says something is “sweeeeeeeeeet.” Which is not good considering the things I make/photograph/eat. But, what can ya do? Give Erik a thesaurus. Yes, that’s what I should give him for Christmas this year! I know, I know, it sounds like the perfect, most thoughtful gift on earth. But not. Oh, I’ll just tuck that brand, spanking new thesaurus amongst his green and red beribboned gift tins of triple chocolate peppermint cookies, peppermint crunch bars, and perhaps a big ‘ol box of these. 😉 Now, who could imagine him complaining about whining bemoaning lamenting about his “gift” then? Man, who knew there were so many words that meant complaining? Okay, now we have to do a word that’s way more pleasant, like… sweet. Even though I don’t like the way in which that word is used (by Erik only, of course haha), let’s thesaurus it! 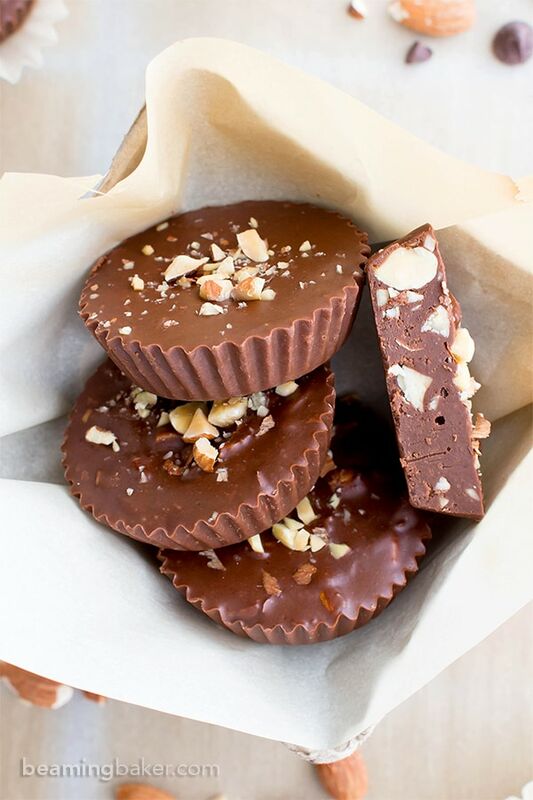 So, for example, if we were to describe these Paleo Chocolate Almond Butter Fudge Cups, we could say that they’re… wonderfully sweetened (alright, that’s not a great one), or luscious (interesting), or like candy (makes sense), syrupy (might cause confusion, with the whole lack of syrup in this recipe), confectionary (not bad), or beloved (whoops, wrong meaning). Or… well, you get the picture delineation portrait portrayal vignette sketch. Alright, this gift idea is back on the list! After all, who doesn’t need like 200 more words for the words they’re already saying that don’t even really mean the things that they were trying to say, but just in more confusing and not-at-all-intelligent-or-even-entertaining ways? Hopefully, next Christmas, I can tell you all about how last year, I cooked up the harebrained scheme idea to give Erik one of his most beloved (or sweet apparently) ideas of all time. And how it came to be our undoing greatest joy! All jokes aside, what are you planning on giving your loved ones this season? Clothes, candy, books, tricycles? Oh, wow, a tricycle would be awesome! Especially if you’re giving a tricycle to an adult. I mean, what adults are lucky enough to regularly ride a tricycle anyway? Imagine if said adult could ride that newly gifted tricycle and enjoy a slice of this paleo chocolate pie from Texanerin! Alright, how’d we get to talkin’ about pie? Gift-giving sure does have me going off on a tangent, I tell ya! Anyway, I’m totally excited to hear all about what you’re gifting this year! 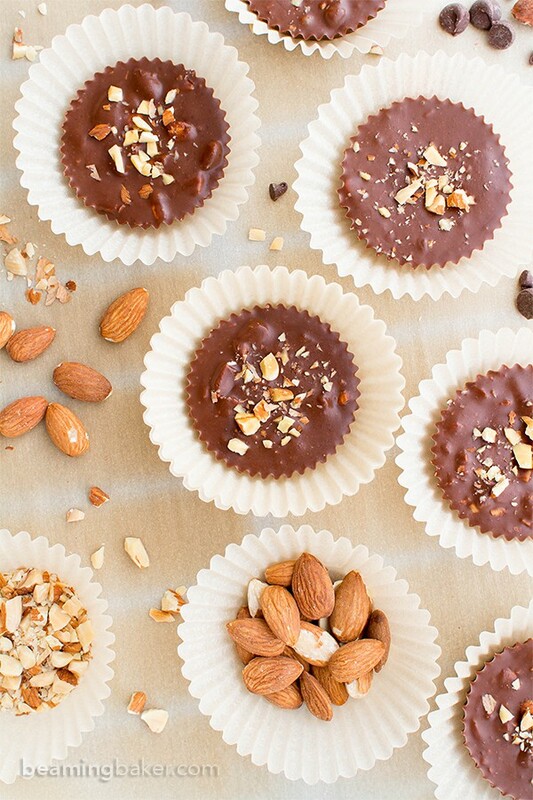 As for me, I’m whipping up a batch of these paleo chocolate almond butter fudge cups for my family. They’re always super excited to see what kind of new treats Erik and I make at our annual pop-up candy shop (which is another way of saying that we make All the Candy). 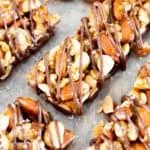 Last year, we made chocolate-covered pretzels, coconut and almond haystacks, chocolate-covered gummy bears and brownies. I’m kind of seriously excited about how easy these are to make. I mean, we’ve got to keep that candy shop production moving! So what do you think? 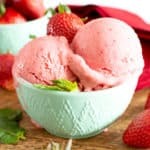 Would you like to whip up a batch this year? The best part is totally sprinkling the chopped almonds on top. It makes ya feel like a candy pro! It’s wonderful to spend the holidays with you, getting ready and bustling around the kitchen during this exciting time of year. 🙂 Wishing you a magical, warm, and simply splendid Happy Holidays! 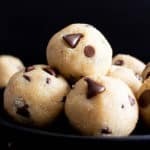 Irresistible Gluten Free Vegan Almond Butter Recipes! 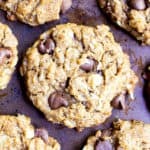 Gluten Free Almond Butter Chocolate Chip Cookies ← My current fave ???? Line a 12-cup muffin pan with cupcake liners. Set aside. Clear some space out in the freezer for this pan—you will need it later. Use the double boiler method or the following. Add chocolate chips and almond butter to a medium, microwave-safe bowl. Heat in the microwave in 20-second increments, until softened and melted. Stir between heating, until smooth and thoroughly combined. 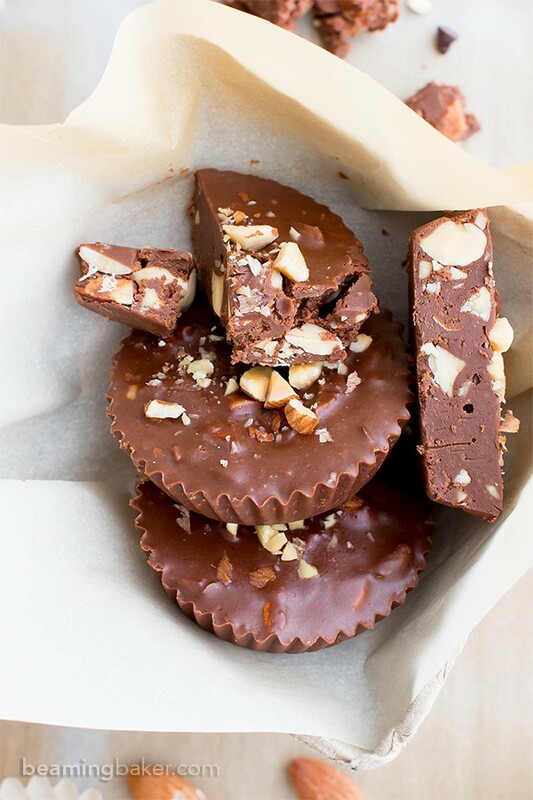 Fold in almonds and salt, if using. Scoop about 2 ½ tablespoons of this mixture into a cupcake liner. Repeat until all liners have been filled. 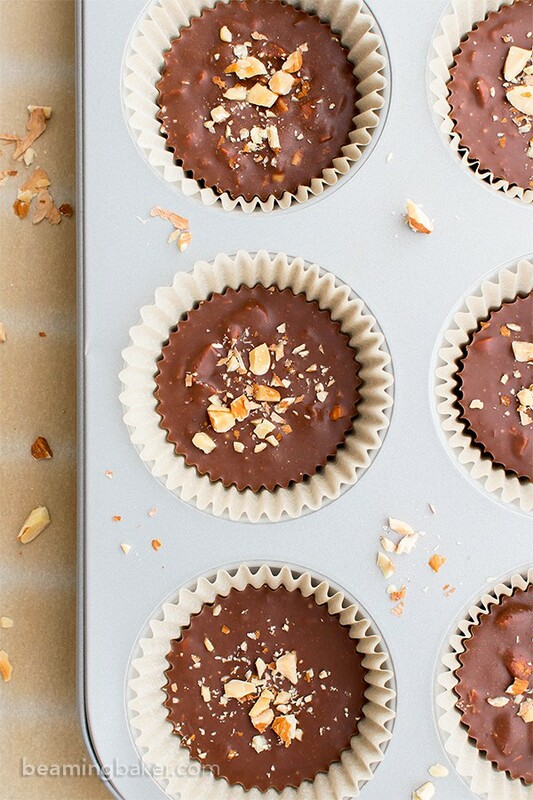 Gently tap the muffin pan to create smooth, even cups. Optionally, top with finely chopped almonds. Freeze for 15-20 minutes. Peel off cupcake liners and enjoy! Storing instructions below. - Freezer instructions: Store in an airtight, freezer-friendly container in the freezer for 1-2 months. 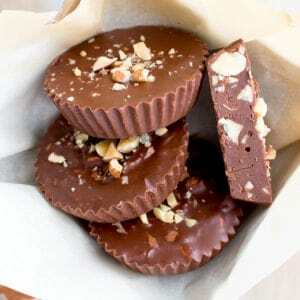 - More homemade candy recipes: paleo almond joy, chocolate coconut truffles, peanut butter cups, peppermint crunch bars. 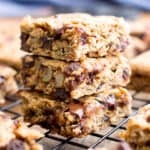 - More Paleo Vegan recipes: no bake chocolate pecan bars, peppermint mocha frappuccino, pecan pie bites. 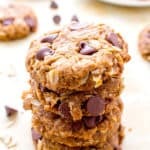 All of your post titles make me smile, ESPECIALLY when they involve almond butter (and peanut butter). And hooray for candy! It’s just what the holidays deserve, right? 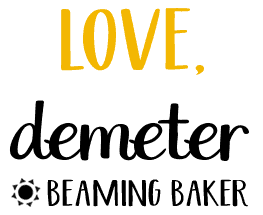 You make the best cups, Demeter! I have no doubt that this might just become my favorite kind. I’m addicted to almond butter (especially the honey version) so i’m loving this three ingredient treat. Pinned, of course! Hope your week is off to a fantastic start! Right? Haha. One can only try… and by try, I mean leaf through their trusty thesaurus. 😉 I’m so glad you finally got your thesaurus! 😉 Words totally rock! P.s. I’d love a tricycle! Lolol. You SO would!!! If there’s anyone who could pull it off, it’d be my CheyBae! <3 Obviously!! As your chief bestie, I must know these things (and more!). 🙂 If Santa's hiring me as the top candy advisor, then he's GOT to hire you as the chief cocktail and hummus advisor. 😉 Thanks my dear! xoxo P.S. Now I know what to get you for Christmas! ???? Thanks for acknowledging my last comment asking you to keep going with all this chocolaty goodness! I’m in chocolate heaven! Thanks Demeter 🙂 . All your creations are so deliciously “confectionary”. Love them all! Still behind with Christmas shopping, will let you know later on 😉 . 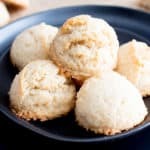 Can I substitute sunbutter for the almond butter? And, how do you think these will be going by mail to Iowa? how about some nutrition info please? Haha thanks Georgie! ☺️ Can’t wait to hear what you think! How long can we keep this fudge in room temperature without meting? Thank you so much. So just to understand is the ratio of almond butter and chocolate that keeps this fudge from melting? 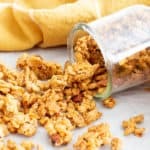 What if I want to add maple syrup (for extra sweetness) and nuts to this 2 ingredients recipe?